DAVID LE/Staff photo. 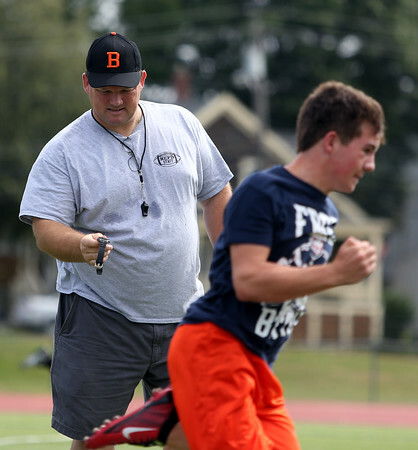 Beverly head coach Dan Bauer times his players in the 40-yard dash on the first day of practice. 8/24/15.